"Jack Yost was a very pleasant, helpful guy to work with. We called him because ants were getting in the house and he was able to come by that evening. He showed me where the main nest was along the side of the house. He spread ant killer there and around the rest of the perimeter and put bait in the crawl space below the nest and sprayed in the garage. While he was there I told him I thought I heard carpenter bees chewing in the eaves and he spotted and treated a couple places around the house where they were boring into the wood." 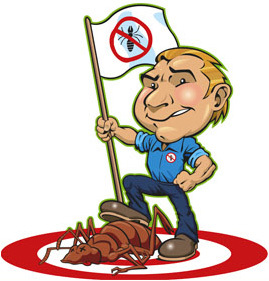 Ecosystems believes in being proactive rather than reactive with the pest control services that we provide. By providing on-going pest control to commercial businesses, EcoSystems creates an environment where insects and rodents do not want harborage. Our control philosophy is based around Integrative Pest Management, a strategy using environmentally sound yet effective ways to keep pests from invading your business. We work closely with our clients to understand their needs and by understanding those needs we can react quickly if the removal of ants, bees, spiders, roaches, mice, rats, etc. is needed. Exterminating of those pests is accomplished in a timely basis. EcoSystems uses environmentally friendly products. Green is our color. EcoSystems is a family owned business. We not only answer the phones, but we also perform the services. We are licensed and certified by the State of Ohio Department of Agriculture and are insured as required by the Ohio Dept of Agriculture. Additionally, we are bonded.